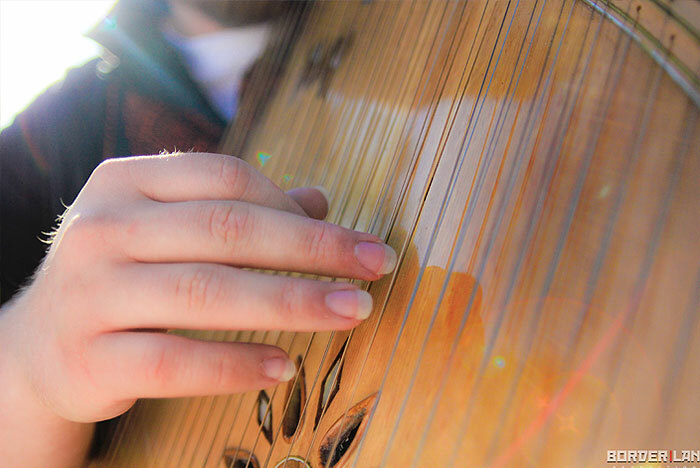 Driving through the Birkshire mountains, amid the colonial-era homes, Revolutionary War monuments, and summer cottages, one might come across a unique sight with an equally unique sound - upwards of eighty banduras, the national instruments of Ukraine, being played by children of all ages, many for the first time. 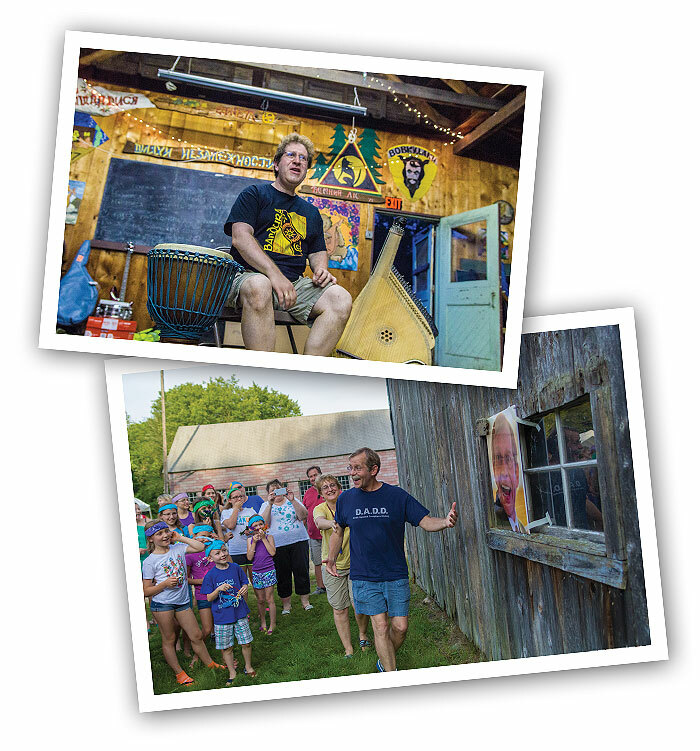 The children participated in the fifth annual week-long bandura workshop at Bobriwka, a Ukrainian community campground straddling the border of Connecticut and Massachusetts. This year’s workshop, as in years past, featured both traditional Ukrainian music and modern adaptations of rock music from Ukraine. 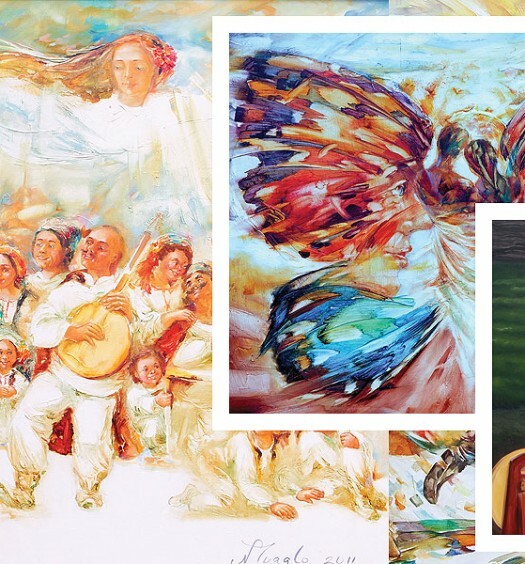 Because of the bandura’s bloody history, workshop participants learned about the power of its music, and reflected on it within the context of today’s war in Ukraine. One of the songs performed by the bandurists at Bobriwka, Ukrop, originally written by the band “Haydamaky,” takes an insult invented by Russian soldiers in Eastern Ukraine, and makes it into a march of solidarity. Ukrop, or ‘‘dill’’ in Russian, was both a derogatory abbreviation for Ukrainians, as well as an allusion to the fact Ukrainian forces were everywhere, and as impossible to get rid of as the dill weed is. Ukrainians owned up to the term, redefining it to mean ‘‘the Ukrainian resistance.’’ Indeed, the young musicians succeeded, with a combined 400,000 people having viewed their rendition on YouTube. 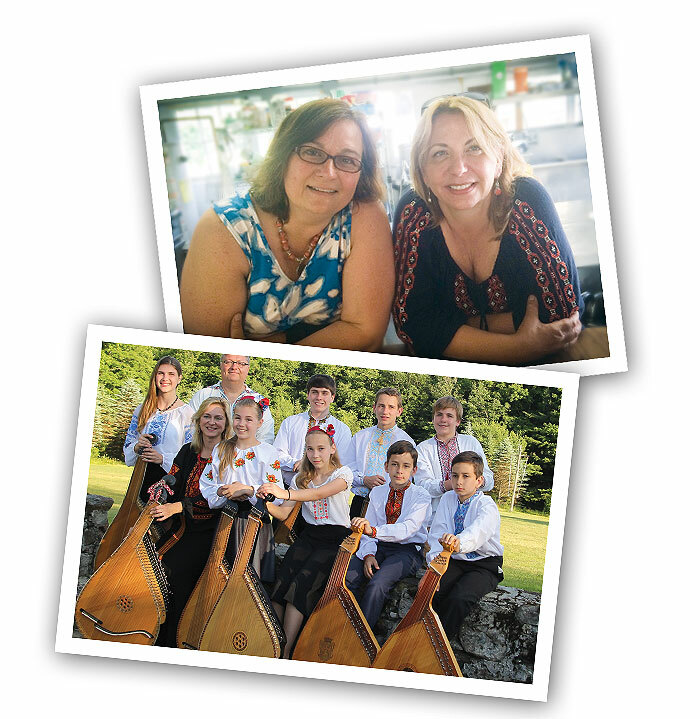 The workshop, dubbed a ‘‘bandura reunion,’’ signals a rebirth in Ukrainian bandura art in North America, as many of the participants take their newfound talents to the Ukrainian Bandurist Chorus-sponsored Kobzarska Sich Bandura Camp in August to sow more friendships and hone their Ukrainian musical skills. 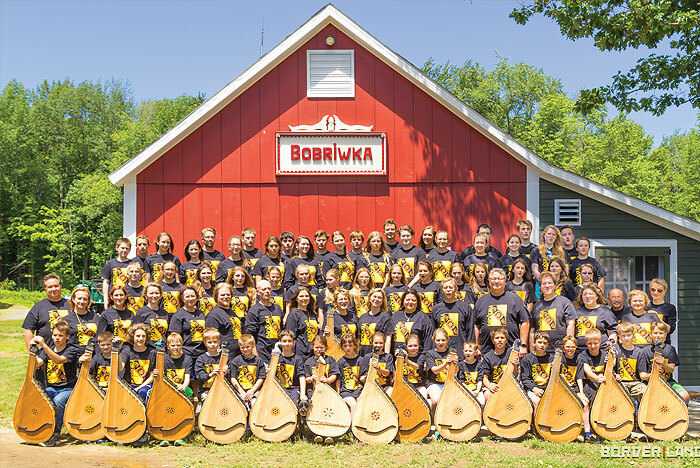 The workshop, dubbed a ‘bandura reunion,’ signals a rebirth in Ukrainian bandura art in North America, leaving many of the participants taking their newfound talents to the Ukrainian Bandurist Chorus-sponsored Kobzarska Sich Bandura Camp in August to sow more friendships and hone their Ukrainian musical skills. On the third day of lessons, my youngest son turns to me and says, ‘Mom, can we come back next year?’ Coming from a place with no Ukrainians, we were so thrilled at the warm reception, the excellent instruction and the fabulous time we had at Bobriwka. We will be back next year. Our children, Chrystyna and Taras, participated in Bandura at Bobriwka for the first time this year and we all enjoyed it tremendously. They learned to play the Bandura and sing on stage, met many interesting children, and had a great time playing games, dancing, swimming and just making friends. I was very impressed by the performances and by the families we met. Although I never played the bandura, my husband did, and he played with an amazing group of people who now teach and bring their own children to Bobriwka to learn, play and meet new lifelong friends. For the past four years, I have had the good fortune of bringing my four boys to Bobriwka and being a part of this wonderful, welcoming and special group of people. For the past five years, I have gone to Bobriwka for this wonderful reunion. Every year is an experience that I will never forget. The instructors are inspiring and the work done there is truly amazing. I don’t know a better way to start off the summer season! At first I went to Bobriwka because my daughters wanted to. Then I went because they said our family had to go. And now, I too have to go – we all do! It’s such an amazing experience. Wonderful people and wonderful music. Inspiring.